Maybe your happy place is on the stretches of lazy water where you can watch the current silently twirl along eddy lines; maybe your spot is at the oars surrounded by big water as you read the workable line and try with everything you have to get there; then again, maybe you're happiest at the campfire, toes in the sand, beverage in hand, listening to someone else do the dishes. 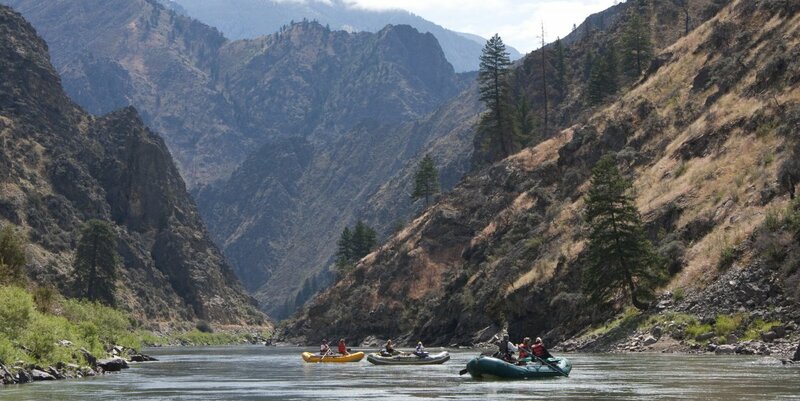 Whatever your appetite, when it comes to rafting, the U.S. West is home to the nation’s premier river destinations. Rivers like the Green, the Colorado, the Salmon, the Snake, and countless other smaller but no less legendary waterways are where the sport evolved from the era of bucket boats toward the self-bailing rafts and catarafts of today. Indeed, California’s Cherry Creek run was an early testing ground for jerry-rigged self-bailers in the 1970s, and the design was honed and refined in Oregon by SOTAR in the 1980s on California and Oregon water. The sport has evolved considerably since then, and while innovations in designs and materials allow for boaters to take rafts down waterways around the world that would have been unnavigable a few decades ago, the West remains a haven for classic river trips. From the long excursions down the major rivers of the Southwest to the multi-day trips through Northwest canyons and wilderness to the steep, thrilling day trips charged with spring snow melt, you’re sure to find trips and create memories that will stick with you for the rest of your life. 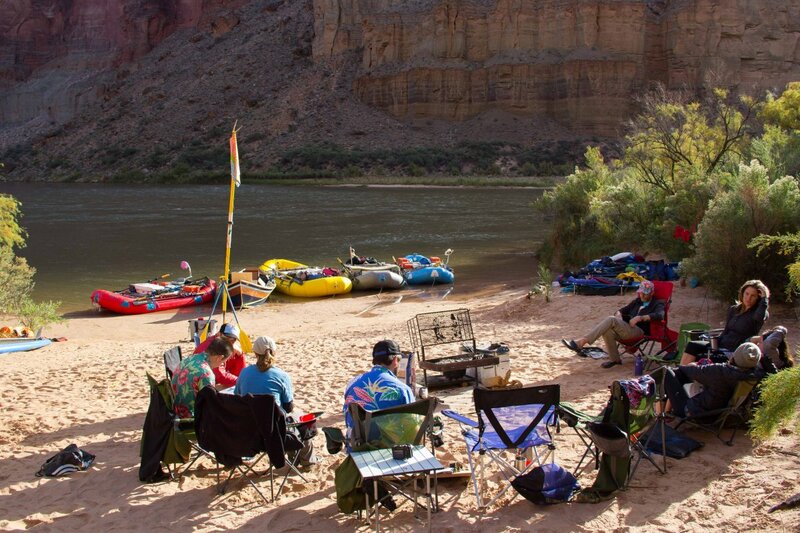 River camp life along the Colorado River. Photo by Aron Bosworth. Below are a few of our favorite river trips, but of course there are many more to be had, so consider this a starting point that may inspire you to document your own trip on Outdoor Project. Have you already enjoyed some of these beautiful places? Be sure to share some photos and comments. And don’t fret if you’ve missed the permit application deadlines for many of these floats; you can always call to check on cancelations or find a river nearby that doesn’t require a permit in advance. The Grand Canyon of the Colorado River, Lee’s Ferry to Diamond Creek (226 miles). This stunning and challenging trip can last several weeks or just a few days. Grand Canyon views from the bottom up, stunning geology, Native American artifacts, incredible side hikes, and exhilarating water make this one of the America’s best river trips. Selway River, Paradise to Race Creek (47 miles). Among the earliest rivers to be protected by the 1968 National Wild and Scenic Rivers Act, the Selway has benefitted from a relatively restrictive permitting process and a remote location. Spring flows can bring tremendous hydraulics and big water, but by late summer (out of the permit season) this river slows down to a trickle. Middle Fork of the Salmon River, Boundary Creek to Cache Bar (99 miles). Despite the heavy private and commercial pressure, the Middle Fork remains one of Idaho’s most beautiful rafting adventures. Running through the Frank Church-River of No Return Wilderness, this river runs high with challenging water in spring and offers more technical water in late summer and fall. Stunning scenery that includes steep canyons, pristine forests, and plenty of wildlife. Rafters enjoy the calm water of the Main Salmon. The access road to Cache Bar can be seen along the left side of this photo. Photo by Matt Leidecker. Snake River, Hells Canyon Dam to Pittsburg Landing (32 miles). With the persistence and power that only a major river can muster, the Snake River has carved Hells Canyon, the deepest gorge in North America. At its deepest, this Hells Canyon measures 7,993 feet. A trip down the Snake promises unforgettable views from within the canyon, but also a healthy dose of big water flowing from the Hells Canyon Dam. Middle White Salmon River, BZ Corner to Husum (5 miles). This short and sweet stretch is easily one of Washington’s best whitewater runs. From the early excitement at Maytag and Top Drop down to Husum Falls, this river is a Northwest classic that runs strong year round. A gorgeous float that is flanked by a lush forest of alder, maple, pine and cedar. John Day River, Clarno to Cottonwood Bridge (77 miles). One of Oregon’s longest floating opportunities, the John Day starts high up in the Strawberry Mountains and flows 281 miles to the Columbia River. The most popular section to float is Clarno to Cottonwood Bridge; this section cuts through magnificent canyon formations and beautiful sections of Oregon’s high desert. Illinois River, Miami Bar to Oak Flat (31 miles). This remote and challenging stretch through Oregon’s Kalmiopsis Wilderness is among the best in the state provided boaters are properly prepared. A Wild and Scenic River, the Illinois is isolated, rugged, and gorgeous. This is typically a spring float, so trips are frequently subject to the whims of weather; a trip through the Green Wall after a spring storm is one that won’t be forgotten. Rogue Wild and Scenic River, Grave Creek to Foster Bar (34 miles). A western classic, the Rogue receives some pressure from commercial and private boaters in the height of the boating season, but it remains a beautiful float that is available year round. From the challenging rapids at Blossom Bar to the deep and lazy swimming holes farther down river, this float offers a little something for every type of river runner. Anglers will find excellent fishing here, and a well-established riverside trail is a great choice for hikers. Owyhee River, Rome to Birch Creek (49 miles). This is a stunning float through the heart of the Owyhee Canyonlands. Dramatic geology, rich and diverse wildlife, and unforgettable views are all in store. As this is a spring float, the weather can be extremely variable, but the scenery is always beautiful along this Wild and Scenic river. To take full advantage of this trip, try to plan some time for hikes. We hope that these incredible whitewater trips spur your motivation and inspiration and get you craving some time on the water - but this list is just the beginning, and your choices throughout the country are seemingly limitless! Explore even more river-trip ideas or keep scrolling for more information! I went on a grand canyon rafting trip with https://crateinc.com a while back and had an awesome experience! Part of what I enjoyed about it was being in the outdoors, going on the river (the adventure of it), the staff was awesome with Crate, and great food! I would highly recommend this experience for anyone looking to have an awesome adventure. Now that I have 3 little kids I think it will be a while before I can go back again unless I can talk my brother into taking them for a few days, I would love to go again it was a blast. My goodness ...have you forgotten the Owyhee in SE Oregon? Second most remote river in the "lower 48".